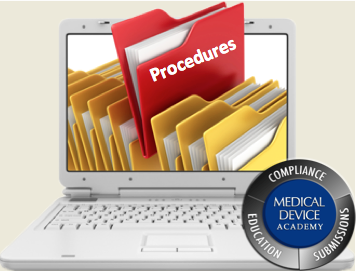 This webinar will help you understand the European Medical Device post market clinical follow up requirements for CE Marking. What is Post Market Clinical Follow Up (PMCF)? 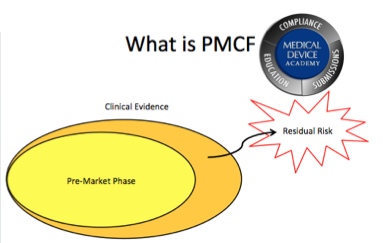 Why will PMCF be required? This webinar is updated for the new Regulation (EU) 2017/745 requirements for post-market surveillance. If you are registering before Thursday, May 24 the webinar will be live and you will receive an invitation to the live webinar. All registrants will receive a recording in .mp4 format and the native PowerPoint slide deck. Upon purchasing the webinar you will receive an email asking you to confirm subscription to updates related to this topic. This is a 10 question quiz with multiple choice and fill in the blank questions. The completed quiz is to be submitted by email to Rob Packard as an MS Word document. Rob will provide a corrected exam with explanations for incorrect answers and a training effectiveness certificate for grades of 70% or higher. Rob Packard is a regulatory consultant with ~25 years experience in the medical device, pharmaceutical and biotechnology industries. He is a graduate of UConn in Chemical Engineering. Rob was a senior manager at several medical device companies—including President/CEO of a laparoscopic imaging company. His Quality Management System expertise covers all aspects of developing, training, implementing, and maintaining ISO 13485 and ISO 14971 certification. From 2009-2012, he was a lead auditor and instructor for one of the largest Notified Bodies. Rob’s specialty is regulatory submissions for high-risk medical devices, such as implants and drug/device combination products for CE marking applications, Canadian medical device applications and 510(k) submissions. The most favorite part of his job is training others. He can be reached via phone 802.281.4381 or email. You can also follow him on Google+, LinkedIn or Twitter. Copyright © 2014 Medical Device Academy. All rights reserved.